More travellers are taking advantage of the convenience of Billy Bishop Airport in downtown Toronto. The airport is now the ninth busiest in Canada and set traffic records for June, July and August and is on its way to surpass the 2.8 million people who passed through in 2017. As the hub for Porter Airlines with some competing service by Air Canada Express, the airport has grown by leaps and bounds from a mainly GA base. Service is restricted by a long-standing ban on jet aircraft (except for medevacs), but flights from the island a few metres from Toronto’s downtown core still get to 20 destinations in Canada and the northeastern U.S.
A major boost in convenience occurred in 2015 when a pedestrian tunnel under the narrow strip of Lake Ontario and the Toronto waterfront was opened, eliminating the need to take a ferry to the airport. 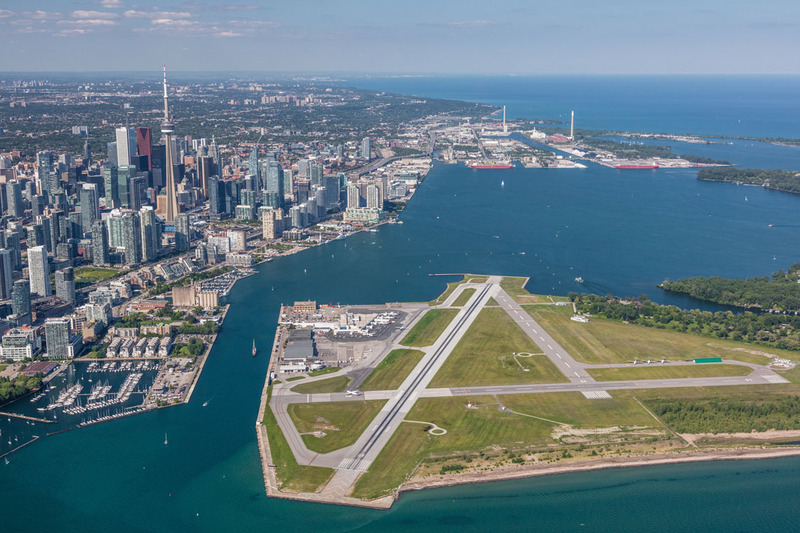 Since then, Ports Toronto has rebuilt a lot of the airport surfaces and services and expanded the passenger terminal. “We are proud that we were able to introduce improved facilities and infrastructure at the same time as providing a high level of service and efficiency to passengers,” said Gene Cabral, the airport’s executive vice president.